A “huge blue sphere” has been reported as appearing in the sky over Alsace last night, with witnesses speculating over what the object could have been. Around 18h on Tuesday November 14, reports began emerging of a rounded, blue shape with a green tail, flying over the department and the Grand-Est region. Reportedly larger than a star and moving too quickly to be a planet or a plane, the object left witnesses confused as to what it could be. 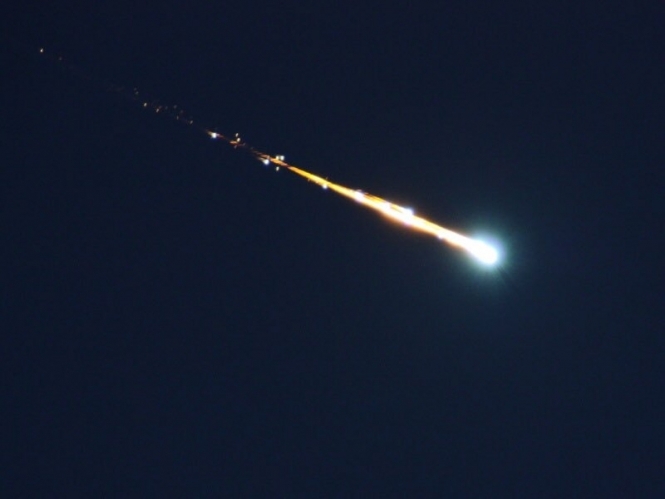 Commentators have suggested it was simply a form of meteor, and more precisely, a "fireball" meteor. “It was likely a small celestial body, which travels very quickly in the Earth’s atmosphere and which, on contact with the atmosphere, heats up its gases, giving this luminous trail behind it,” explained Jean-Yves Marchal, scientist at the Strasbourg planetarium, speaking to French news source FranceInfo. Social media users also had comments. “It was a huge thing, like a blue sphere with a green tail,” explained Sandrine, from Niederbronn-les-Bains (Bas-Rhin), while a man identified only as Frédéric, who was watching from Marckolsheim, said it was “larger than a shooting star”. Others called it a “fireball” and others said it was simply “very strange to see”. No casualties or any other issues were reported. Any witnesses - of this and any other similar sightings - are asked to fill in a form on the website of French scientific research group Vigie-Ciel, to help their expert project, which is undertaking research on shooting stars, meteorites, and impact craters.